Looking to add a twist to your French Toast recipe? Take a look at how easy this French Toast Sticks recipe is to make for your kids or with them. We share the details on how to make Meatless Mondays family dinners great with the help of Goya products. Plus our Coconut Rice Bowls recipe! In partnership with Otis Spunkmeyer we’re sharing how easy a super cookie decorating party can be for your child’s next birthday party or playdate idea. Do your kids want to learn to cook? 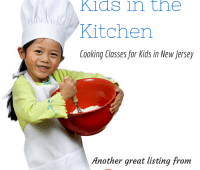 We help you find New Jersey cooking classes for kids organized by North Jersey, Central New Jersey, and South Jersey. We’re showing you how to make superheroes from juice bottles. It’s a great beverage & craft for superhero themed parties or playdates. Will your family be having a SMURFS The Lost Village family movie night? We’re sharing our ideas and tips for making your Smurfs movie night smurferrific. 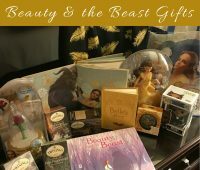 We’re sharing pictures, details, and videos of our favorite Beauty and the Beast gifts that would be great for Disney Beauty and the Beast fans. 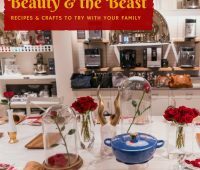 Details from a Beauty and the Beast blogger event with Williams Sonoma. We’re sharing Beauty and the Beast inspired crafts and recipes you can try at home with your family. 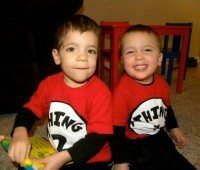 Jersey Family Fun shares all kinds of Seuss-inspired crafts, recipes, and ideas to help you celebrate Dr. Seuss’s birthday. Give your ziti recipe a makeover with secret flavorful ingredients like Johnsonville Italian Sausage. Check out our ziti with sausage recipe.